By Ronald A. Faris, Director of Cell Biology, Corning Life Sciences. In 1993, 15 patients in a clinical trial were given fialuridine for 9-13 weeks to treat hepatitis B infection. Seven patients developed severe hepatotoxicity; five patients died (1). Fialuridine toxicity was not detected in prior in vivo animal studies (2). Drug induced liver injury (DILI) is the primary reason for the clinical, and aftermarket, failure of drugs (3). There remains a clear need for physiologically relevant cell models to detect chronic hepatotoxicity early in the drug discovery process. Primary human hepatocytes are the “gold standard” for evaluating drug-drug interactions and drug safety but rapidly lose their functionality when maintained in monolayer culture. To circumvent this problem, hepatocytes can be cultured as three dimensional (3D) microtissues called hepatospheroids. 3D cell culture models more accurately reflect the complex in vivo microenvironment. 3D culture prolongs hepatocyte viability, restores membrane polarity and enhances cell function by promoting more in-vivo like cell-cell and cell-extracellular matrix interactions (4). Current approaches to evaluate drug safety include luminescent viability assays and high content analysis (HCA). HCA monitors cell health by simultaneous analysis of multiple cell parameters. Recent advancements in HCA enable automated imaging of 3D microtissues. However, widespread adoption of physiologically relevant cell models for early toxicity screens requires a 3D culture format that is scalable, reproducible, and easy to image. There are a number of commercially-available 3D culture formats including microchips, bioreactors, gels, scaffolds and scaffold-free platforms. Ultra-low attachment plates and hanging drops are scaffold-free platforms used to generate morphologically and functionally comparable hepatospheres. Both formats avoid some of the concerns of other models such as potential drug binding to scaffold materials, lot-to-lot variability of gels and lack of scalability of bioreactors. Scaffold-free formats also support the self-assembly of hepatospheroids comprised of multiple liver cell types. “An advantage of Corning® Ultra-Low Attachment surface spheroid plates (Fig 1) is that the proprietary design enables uniform hepatospheroid formation and automated multiplexed HCA cell health analysis to be performed in a single well” states Todd Upton, Commercial Technology Manager at Corning Life Sciences. Figure 1. 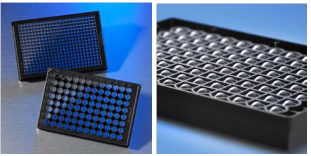 Corning® Spheroid Microplates. The Ultra-Low Attachment surface enables uniform and reproducible 3D multicellular spheroid formation. Spheroids may be generated, cultured, and assayed for fluorescent or luminescent signals in the same plate. A recent report by Bell and colleagues highlights the potential predictive value of hepatospheroids to detect chronic toxicity (5). These investigators demonstrated that liver microtissues generated in Corning® Ultra-Low Attachment surface spheroid plates remain phenotypically stable when maintained in chemically-defined, serum-free medium. The long-term stability of hepatospheroids enabled the team to conduct multiple dosing toxicity studies, for up to five weeks, using physiologically relevant drug concentrations. Hepatospheroids were sensitive to the chronic effects of several known hepatotoxins including fialuridine. Of particular note, 3D culture supported the inter-individual phenotypic variability of the drug metabolism proteome observed in vivo (6). 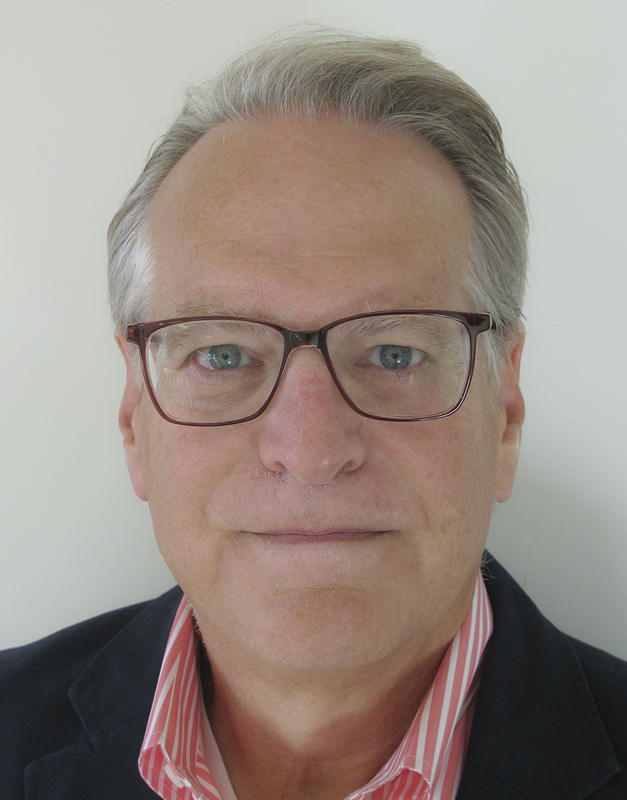 “This is a very encouraging result it is clear that 3D cell culture models will provide a better understanding of how drug toxicity can be influenced by a patient’s genetic pre-disposition and physiology” states Richard Eglen Vice President and General Manager, Corning Life Sciences. Unforeseen drug-induced liver injury occurs because of inter-individual differences in drug disposition. This fact necessitates the need for a panel of liver cells from different donors that model the diversity of human drug responses. Although 3D culture of primary human hepatocytes enables chronic toxicity screens, primary cells are costly, available in limited supply and cell quality varies from lot-to-lot. Each lot of primary hepatocytes has to be qualified. These limitations hinder the routine use of primary cells for high throughput screens. Alternative liver cell models expressing the full complement of hepatic phase I and II drug metabolism enzymes and drug transporters in 3D culture will enable earlier DILI screening. Several commercially available liver models include stem cell derived hepatocytes, HepaRG™, and Corning® HepatoCells. Each of these cell models offers a continuous supply of cells allowing standardization of DILI screens. Detecting chronic hepatotoxicity prior to clinical trials requires systematic integration of physiologically relevant culture formats, new cell models that reflect genomic diversity, and high throughput screening assays. 3D culture formats produce healthy, in vivo-relevant microtissues and enable repeated dosing regimens using clinically relevant drug concentrations. Detection of chronic drug toxicity using primary hepatocytes and 3D culture are encouraging. The challenge ahead will be extensive validation of renewable cell models that identify idiosyncratic toxicity resulting from inter-individual differences in drug disposition. Validated 3D cell models will enable DILI screens earlier in drug discovery, and hopefully, the development of safer drugs and more personalized medicine regimens. Figure 2. Hierarchical cluster analysis of cytotoxicity data obtained from different liver cell models maintained in monolayer culture. Corning HepatoCells are derived from an immortalized hepatocyte cell line and are manufactured and cryopreserved under defined conditions to ensure lot-to-lot consistency. HepatoCells more closely model the cytotoxicity profile of primary hepatocytes than HepaRG following exposure to the SCREEN-WELL® Hepatotoxicity Library from Enzo® Life Sciences (Fig 2). Figure 3. Corning® HepatoCells (1.5K) form a single uniform spheroid when cultured in a 96 well Corning® Spheroid Microplate (Day 7). HepatoCells form uniform hepatospheres (Fig 3) and were equally or more sensitive to several toxic compounds in 3D culture than HepaRG when assessed in a dose-dependent fashion (Table 1). Table 1. Potency analysis of selected compounds from the Screen-Well hepatotoxicity library as assessed by Promega’s Cell Titer-Glo 3D. N= 8 wells per concentration. Ronald Faris, PhD, is the Director of Cell Biology at Corning Life Sciences. Prior to joining Corning Incorporated he was the Chief Scientific Officer at MultiCell Technologies. His research group is currently focused on developing innovative technologies and products for ADMET applications. 1. McKenzie R, Fried MW, Sallie R, Conjeevaram H, Di Bisceglie AM, et al. Hepatic failure and lactic acidosis due to fialuridine (FIAU), an investigational nucleoside analogue for chronic hepatitis B. N Engl J Med 333:1099–1105, 1995. 2. Manning FJ, Swartz MN. Review of the fialuridine (FIAU) clinical trials. Washington (District of Columbia): National Academies Press, 1995. 3. Temple RJ, Himmel MH. Safety of newly approved drugs: implications for prescribing. JAMA 387:2273-2275, 2002. 4. Godoy, P, Hewitt, NJ, Albrecht, U. et.al. Recent advances in 2D and 3D in vitro systems using primary hepatocytes, alternative hepatocyte sources and non-parenchymal liver cells and their use in investigating mechanisms of hepatotoxicity, cell signaling and ADME. Arch Toxicol 87:1315-1530, 2013. 5. Bell, CC, Hendriks DFG, Moro SML, et al. Characterization of primary human hepatocyte spheroids as a model system for drug-induced liver injury, liver function and disease. Scientific Reports DOI:10.1038/srep25187, 2016. 6. Wong A, Weinreich J, Wolff A, Sherman H, Gitschier HJ, and Randle DH. Three Dimensional Hepatotoxicity Screening using Corning® HepatoCells, the Spheroid Microplate and the SCREEN-WELL® Hepatotoxicity library. (www.enzolifesciences.com).